The Pets Choice portfolio of premium animal foods and treats offers a variety of high-quality products for pets and wild animals under nine renowned brands. We know that a healthy diet is the starting point of any healthy animal, which is why each of our brands offers unique insights into health and wellbeing, with products that cater to a wide variety of needs. 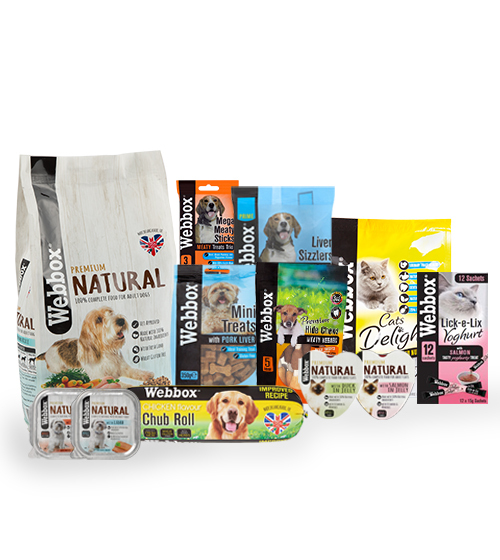 Webbox creates excellent value food, treats, and toys that are innovative, exciting, and utterly droolworthy. 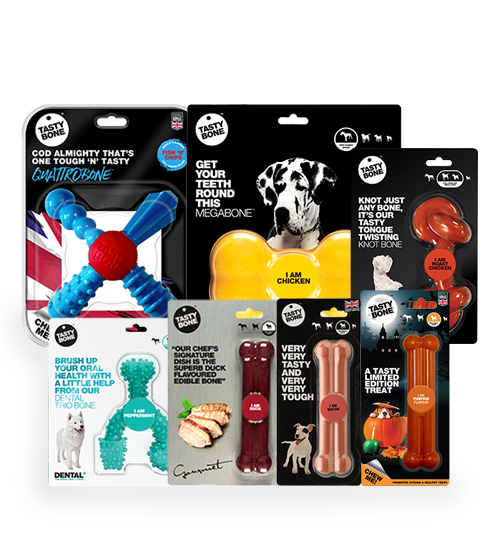 TastyBone is the UK’s leading manufacturer of nylon dog chews and edible treats, with superior products you and your customers will love. 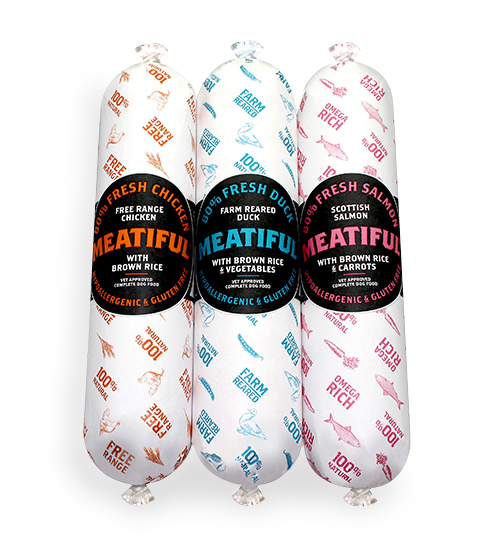 Meatiful complete sausages for dogs are perfect for canine connoisseurs, 100% natural, 100% delicious, and thoroughly tested to guarantee superior taste. 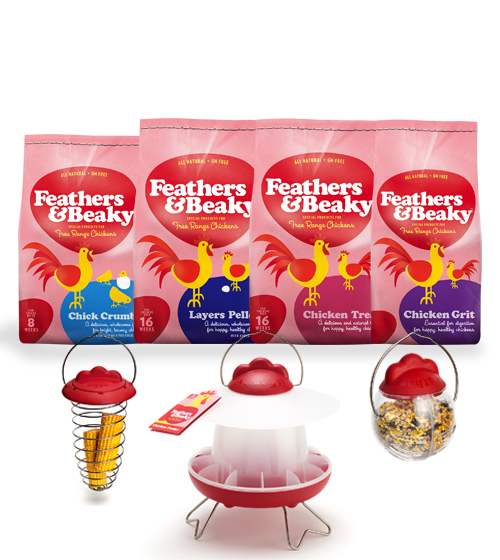 Feathers & Beaky offers more than just a unique range of wholesome foods for chickens, there’s a fun and functional selection of accessories and feeders too! 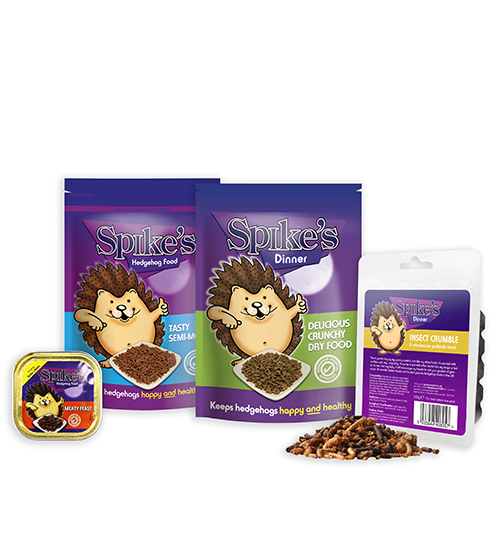 Spike’s hedgehog food contains naturally nutritious and delicious ingredients, perfect for our spiky garden friends to thrive on. 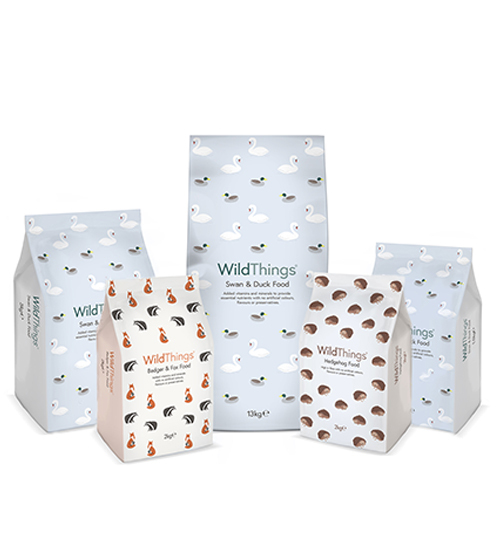 WildThings is the perfect brand for wild garden visitors, with nutritious and perfectly balanced foods for hedgehogs, swans, ducks, badgers, and foxes. 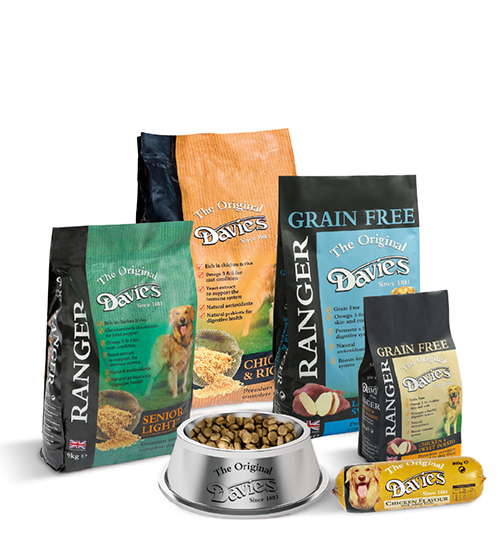 The Original Davies has been providing exceptional quality dog food and treats to satisfied customers since 1881. 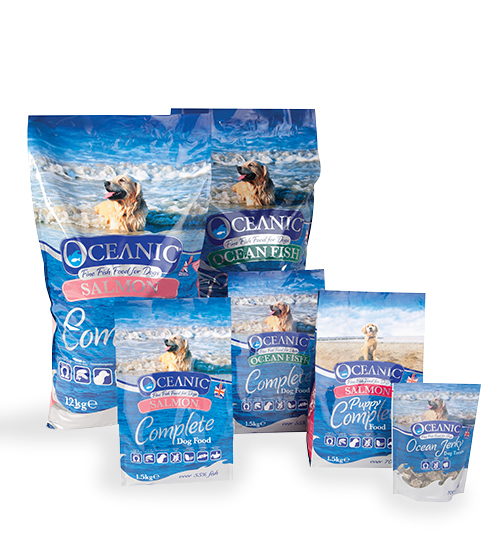 Oceanic is a super-premium range of complete dog foods and treats, rich in fish and free from additives and preservatives. 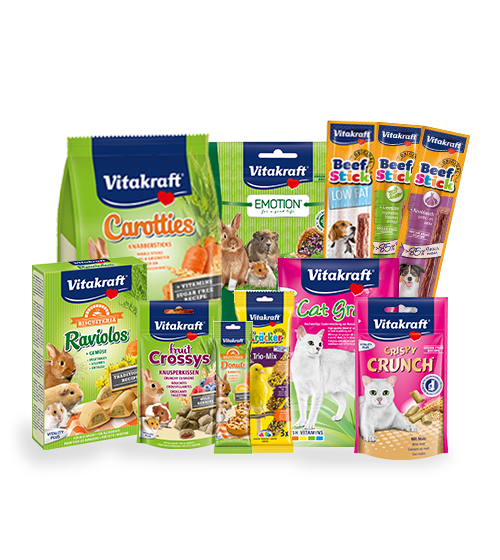 Vitakraft offers a wide range of feeding solutions and wholesome yet tasty treats for dogs, cats, bird and small animals.